Tough and dominating, does that sound familiar to you? Then probably you should think about embracing this custom moose shape bottle opener animal keychain. This functional key holder bears fine imprint, which gives good visibility to your logo. Nobody can stop from admiring it and it is destined to receive high appreciation and easy acknowledgement from all quarters of customer segment. You can easily avail attractive discounts on placing bulk orders of this bottle opener animal keychain. 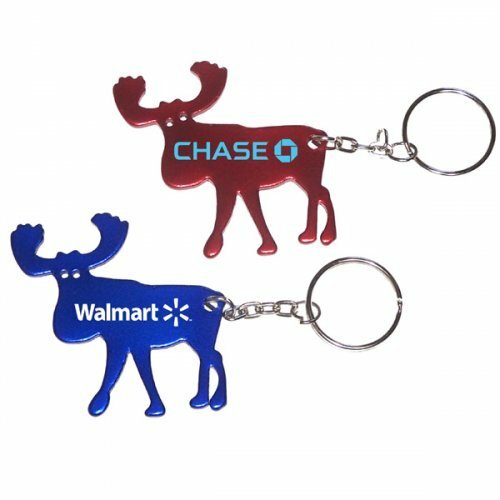 Request a quote to know discounts on wholesale custom moose shape bottle opener keychain. 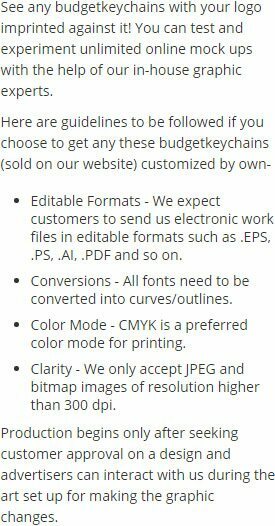 Available colors - Metallic Blue, Metallic Black, Metallic Green, Metallic Gold, Metallic Red and Metallic Silver. Imprint Method - Full Color Process, Laser Engraving and Printed. Product Size : 2 1/4" x 2"